Sympatex - “We shape the world for our children’s benefit” - Your partner for innovative functional textiles. Munich / Unterföhring, 26 September 2017 According to a statement of a leading German textile journal* recycling is currently still in its infancy – Sympatex literally implements this in its new lighthouse project: a children’s shoe consisting of up to 90 per cent of recycled raw material, including a sole made of more than two thirds of recycled rubber. Following the recycled and recyclable functional jacket 4.0 made out of 32 PET bottles launched at OutDoor Friedrichshafen in June 2017, this latest Sympatex development is the second lighthouse project in close succession. The ecological alternative among functional textile specialists also demonstrates the shoe sector how to be sustainable already today – in this case using the example of a functional children’s shoe. The model will for the first time be presented to a broad audience at Lineapelle in Milan (hall 22, booth M17-19/ N12-20). “Already since the foundation of Sympatex approx. 30 years ago, the world population has been growing by 50%. At the same time, human kind has increased the consumption of resources on earth up to 1.6 times more than our planet would be able to recover. 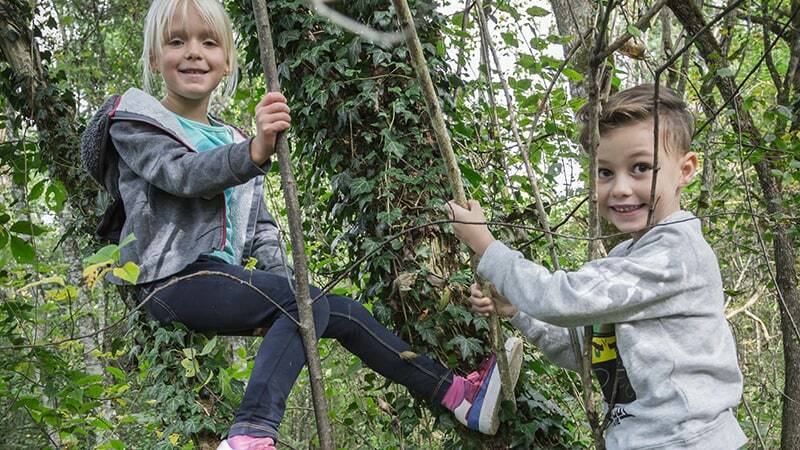 We are currently consuming the reserves of our children’s generation – and leave them piles of rubbish behind”, explains Dr. Rüdiger Fox, CEO of Sympatex Technologies. “This new lighthouse project is an attempt to make our contribution to counteract this trend. We do not plan an own shoe collection, but we won’t stop to demonstrate examples of what is possible in the shoe sector in terms of ecology already today until we succeed together with all industrial players to jointly close the resource cycle. This project combines highest expectations for performance and modern shoe production with at the same time optimised sustainability and we invite the entire industry to replicate these technological opportunities unscrupulously that are available already today”, adds Fox. 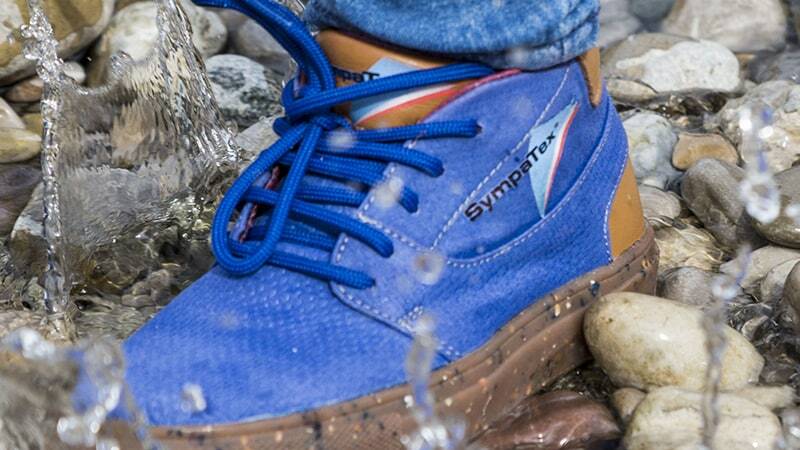 The material basis of the functional shoe consists of 100% recycled outer fabric and lining laminates from the existing Sympatex portfolio. The membrane’s production waste is completely reused via the Sympatex pre-consumer recycling and consists of 100% polyether-ester. The 100% recycled outer fabric and linings contain GRS-certified (Global Recycled Standard) and bluesign®-certified polyester fibres made out of recycled PET bottles. Comparing the production of 1 kg used recycled polyester fibres with 1 kg petroleum-based polyester fibres, the life cycle assessment is excellent: 32% CO2 reduction, 60% energy savings and 94% less water consumption. In this case, instead of 60 litres only about 3 litres of this rare resource are consumed. Furthermore, Sympatex uses a toxic-free and biologically tanned leather upper which in return can be integrated into the recycling process. Recycled and recyclable material is also used for the insole and pad as well as for reinforcement material, sewing threads, shoelaces and even adhesives. Thus, the entire functional shoe consists of approx. 90 per cent recycled material which in return can be integrated into the recycling process. In addition, more than two thirds of the sole is made out of recycled rubber. In addition to the recycling capability and avoiding toxic agents, one of the priorities of the Munich company is to compensate the resulting CO2 emissions. The Sympatex membrane has been completely climate-neutral since 2017. 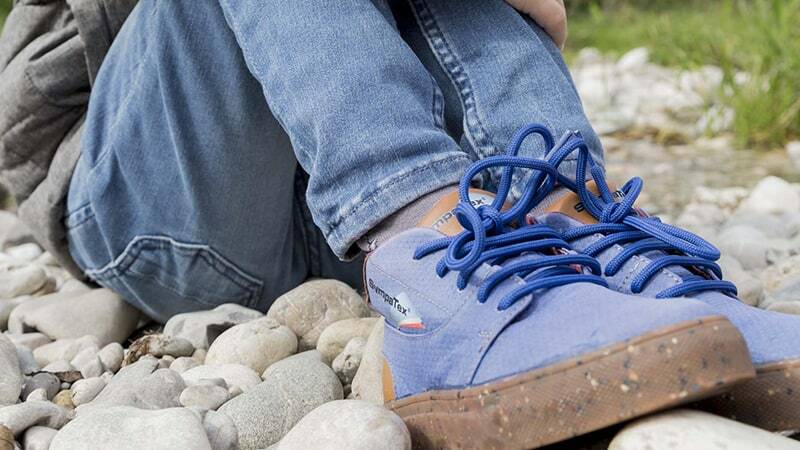 Now the functional specialist produces its new recycled children’s functional shoe in a completely climate-neutral way by acquiring a respective climate protection certificate. Since the beginning of 2017, Sympatex also assists its customers to compensate inevitable CO2 emissions. Here, the company cooperates with the ClimatePartner climate protection consultancy from Munich. The customers obtain a certificate which can be attached to the label of the manufactured product via a QR code. This ensures transparency for the consumer. The press release including all high resolution press photos can be downloaded here.